3.7 out of 5 based on 58 bloggers and 10 commenters. 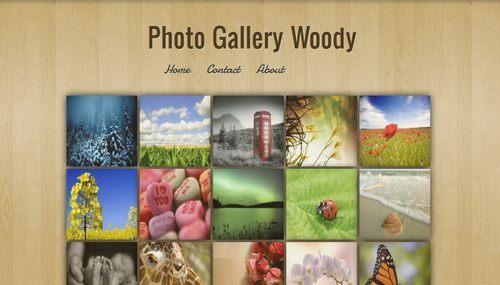 Photo Gallery Woody is a free blogger template with 4 columns, gallery-styled, an exclusive design for Blogger and posts thumbnails. Excellent template for blogs about photography. Hope you will be having good life! I just want to know that I have submitted 2 templates to your website few days ago. But neither the templates were published nor I was updated about it. When submitting the templates I also checked the option that email f rejected. Would you please tell me the status of these templates? should I submit more templates? I am waiting for your kind response. i downloaded it and i opened the file. there is tree things in file and i dont know whitch to choose when i try to edit my html:( could anybody help me?? May I know why am I unable to add pages to this template? Before I tried to add a page, they showed the home page with ‘home’ tag but after I added the page, all the tags are now gone. How do I add the pages? hello how are u friends? thanks for share.i’m having download.